A wise bushman once claimed that size matters when it comes to knives. Clearly, he never used this knife, because it packs plenty of utility in a small package. 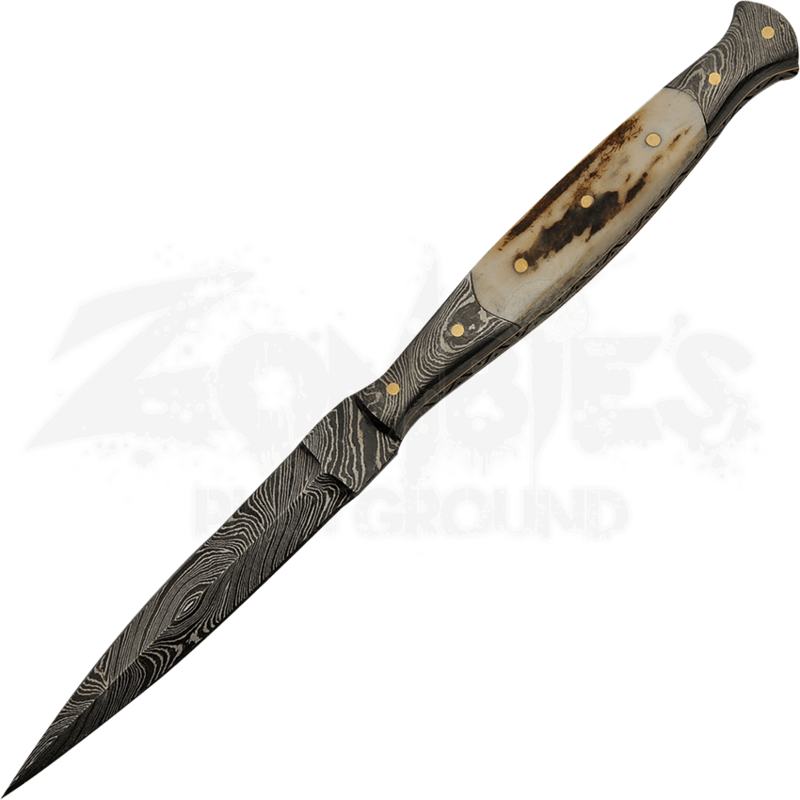 The Slim Damascus Knife offers a durable design with an elegant form. This thin, stiletto blade is perfect for piercing. It has been crafted from Damascus steel, which grants it a high degree of hardiness while also endowing it with an appealing water-ripple design. 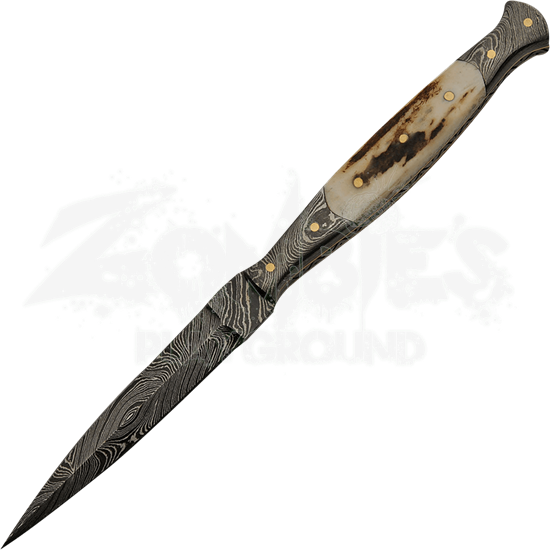 Its handle features Damascus bolsters and a stag antler grip, adding to its visual allure and making it easy to hold. The Slim Damascus Knife comes with a leather belt sheath for easy storage and carrying, making it a fantastic weapon for any outdoorsman.